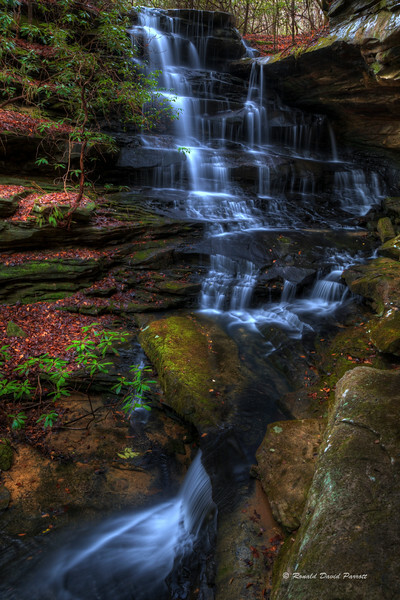 This is Marcus Falls in McCreary County, KY. This is the first major water feature on this unnamed intermittent stream. The stream rapidly plunges down into a deep gorge. Here the water seems to be practicing for the faster cascades, and larger drops to follow.